The Teaching & Research Application Development (TRAD) team collaborates with campus researchers to provide technical solutions for data collection, data visualizations, dissemination of data and research conclusions, and educational efforts. In 2018, TRAD partnered with researchers on projects that improve older adults’ quality of life, support caregivers of critically-ill children, track co-occurring symptoms, assist instructors in facilitating discussions, help managers of farmers markets make data-informed decisions, and assess the spread of aquatic invasive species. Below are highlights from the past year. For more examples that TRAD has partnered on, visit TRAD’s portfolio. If you would like to discuss a potential project, contact us via email or at (608) 265-5858. We are happy to provide estimates and letters of support for grant proposals. The Center for Aging Research and Education (CARE) partnered with TRAD to develop Agefully, an evidence-based web application that connects family caregivers of older adults to research and expertise that helps them anticipate needs, explore options, prepare for likely future decisions, and improve older adult quality of life. CARE and TRAD have worked together since the prototype stage. One of the challenges the team faced was producing rapid iterations of design and coding in response to small-scale usability tests. The Department of Pediatrics collaborated with TRAD to develop a research application designed to aid in the study of how well caregivers can predict risks for hospitalization of their critically-ill children. 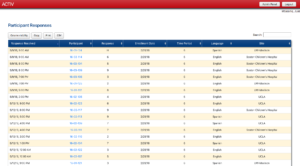 The application collects data from families via text messages, and participant responses are analyzed by biostatisticians. UW-Madison, UCLA and the Boston Children’s Hospital are currently participating in the pilot study. TRAD’s contributions focused on the data collection that allowed data from all three pilots to be analyzed. 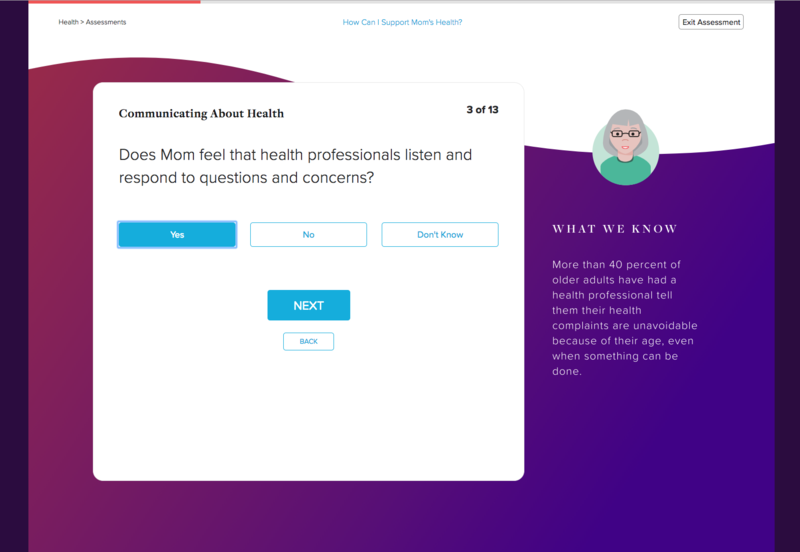 In collaboration with the School of Nursing, TRAD developed an application to collect data about multiple, co-occurring symptoms experienced by patients with cancer. 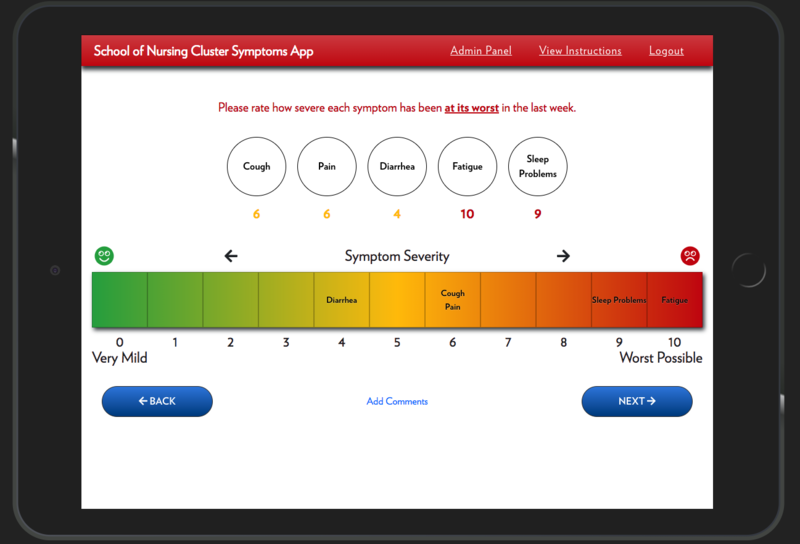 The project seeks to coordinate guideline-based recommendations for symptom management and deliver instructions to help patients self-manage their symptoms. 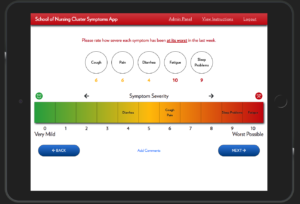 Patients select symptoms they are currently experiencing, rate the severity and bother level of each symptom, and provide additional information about their experiences and how much the symptoms interfere with their daily activities. Working closely with colleagues in the School of Education, TRAD developed technical solutions in support of the Discussion Project. 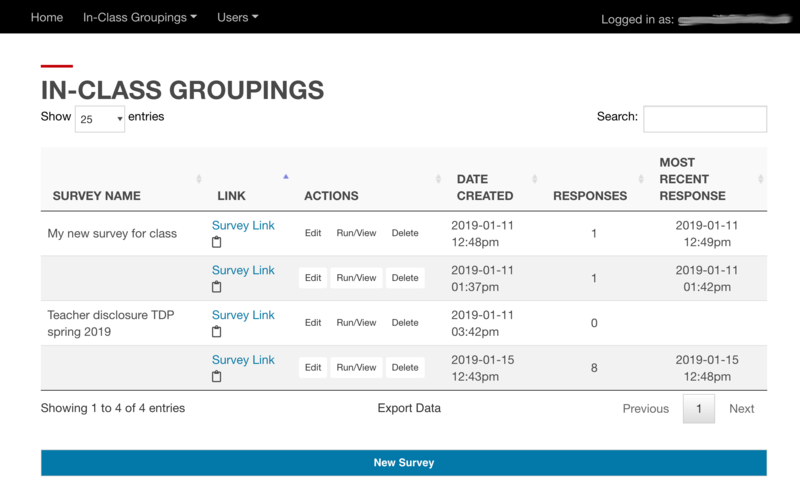 The Student Grouping Tool supports instructor growth in leading and facilitating classroom discussions by allowing instructors to survey students about their attitudes toward topics and to collect basic demographic information. 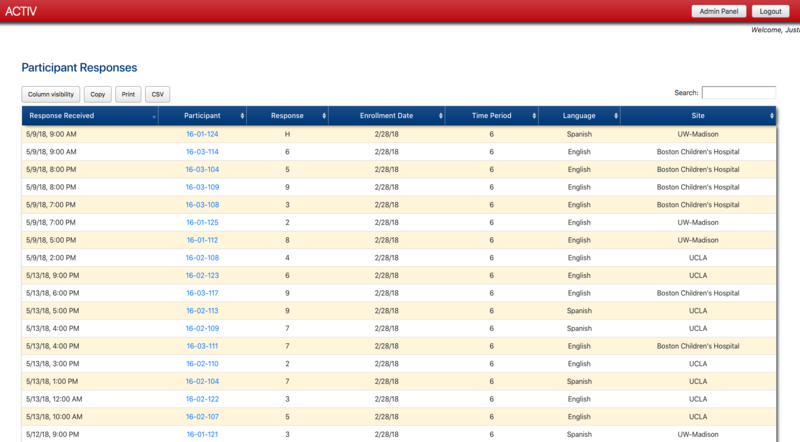 Instructors can then distribute students into discussion groups designed to maximize diversity. Read more about our collaboration in this article. 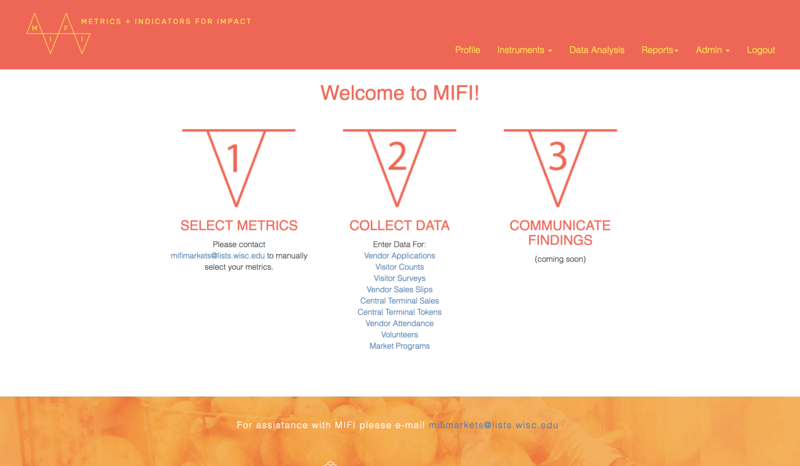 Metrics + Indicators for Impact (MIFI) is an online toolkit designed by College of Letters & Science researchers to help farmers market managers gather and interpret data. Led by Urban & Regional Planning Professor Alfonso Morales and graduate student Lauren Suerth, MIFI encourages markets to use metrics and data collection not only to enhance internal decision-making but also to share insights about their impact on communities. 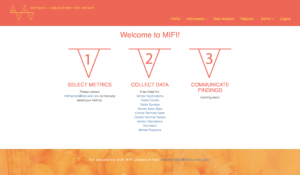 As part of the MIFI initiative, TRAD developed a portal to make data collection, organization, and interactive report generation easier. Alfonso and Lauren talk about their experience with TRAD in this video. 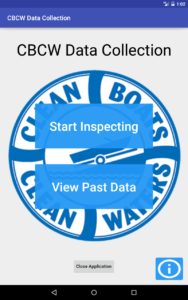 Working with partners at UW-Extension, UW Sea Grant Institute, and the Department of Natural Resources (DNR), TRAD continues to iteratively develop the Clean Boats, Clean Waters app. 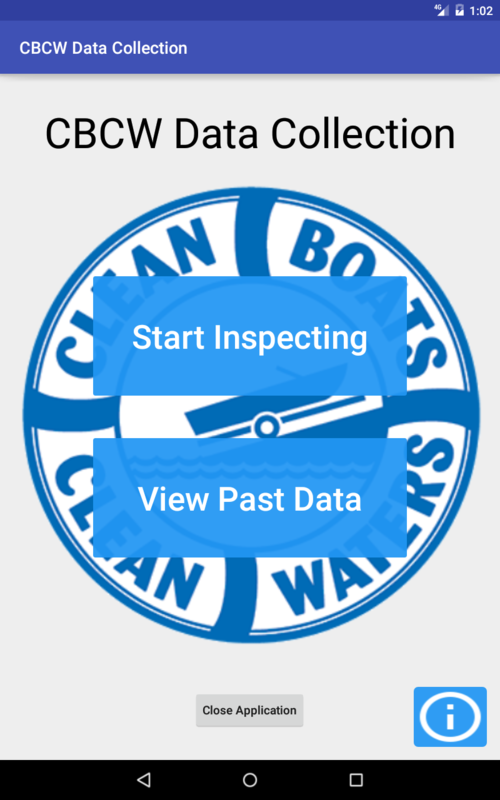 This project supports watercraft inspection and boater education efforts related to the spread of aquatic invasive species. After a successful pilot program that allowed volunteers to collect data electronically, TRAD continues work to integrate the data collection with the DNR’s online data repository.